As Soapfi continues to grow, she inches up on those minimum height requirement charts and more fun activities are open to her when we go places. 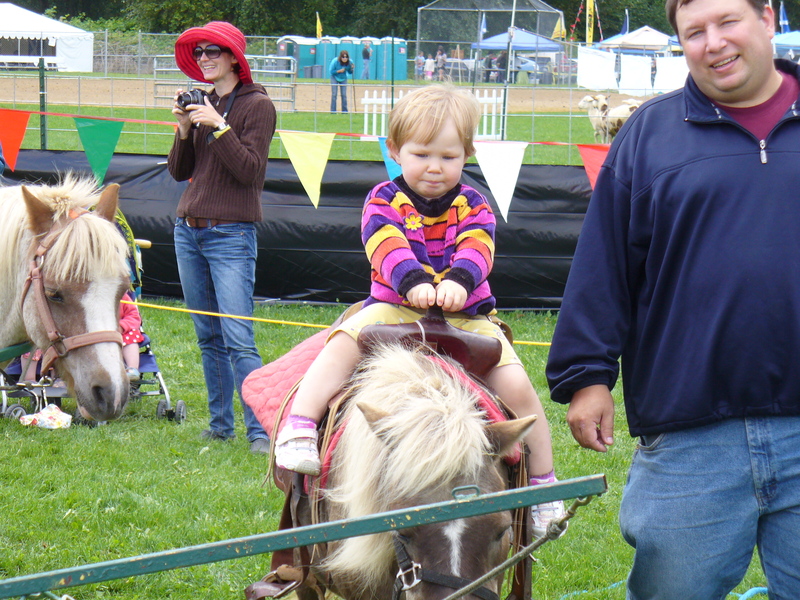 We were delighted to find out she was big enough to go on her very first pony ride while we were at the Skagit Valley Highland Games. It was the best $4 we had spent all day – she was ecstatic. We had been concerned it would turn into one of those things that sounded better in concept than in execution. That she would be excited right up until she actually got on the pony, and then it would morph into one of her “it’s scary” episodes. 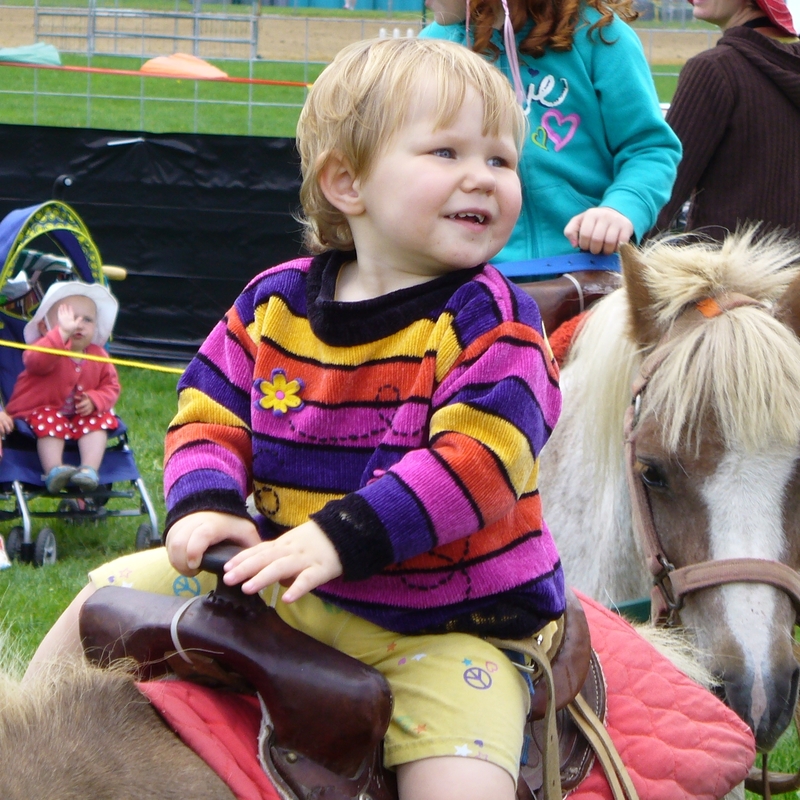 But she remained enthusiastic the entire time, from waiting in line for her turn, clear up until it was time to wave goodbye to the pony. Early on she was concentrating fiercely on keeping her grip on the saddle horn, but by the fourth or fifth time around she was feeling brave enough to practice her parade wave! 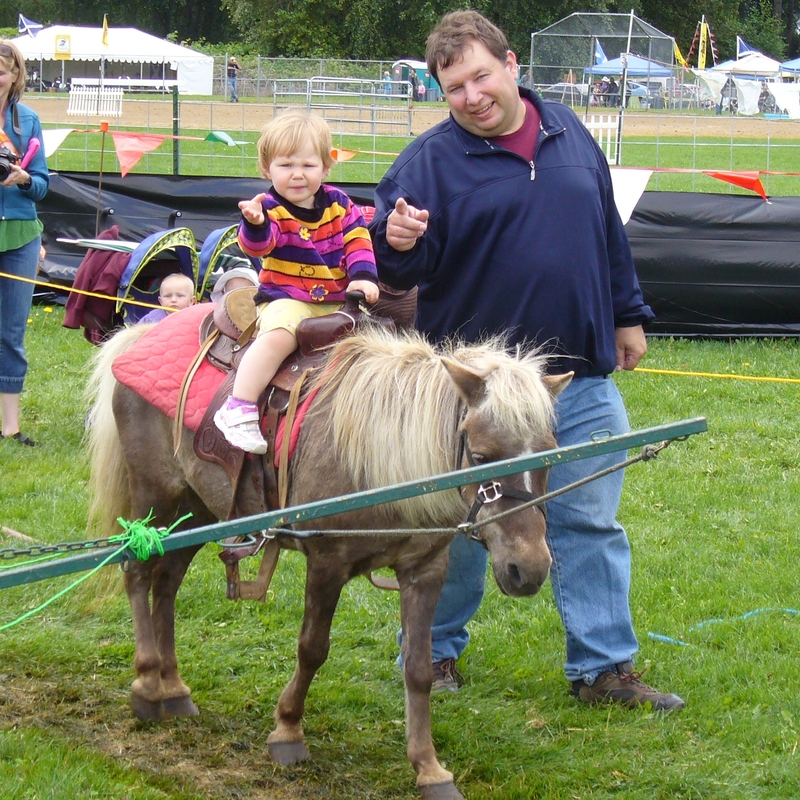 The only downside to the experience has been for Mommy, as I am now the de facto pony around the house, and she likes to go for rides… a lot!